It is 3 1/2 years since the big demos in Egypt, Tunisia, Libya, Syria, even northern Iraq– that shook the region. My new book is a history of youth movements during the past decade and how they are reshaping the region. Nearly 40% of the 370 mn Arabs are Millennials, and they have distinctive generational values. Lets talk about them! AMA. Edit: New to /r/LevantineWar? !اشترك, subscribe! Join us in discussing the regional conflict in a censorship-free subreddit. Thank you for all the good work you do. I am an American, I am not Arab and I am a regular nobody, but I feel a sense of solidarity with the Palestinian people. What can I do to help the people of Palestine? Most people underestimate how big an impact they can have on their congressional representative by forming a PAC and lobbying concertedly for a particular issue. What do you think of pan-Arabism in general as a movement or as a possible solution to the current crises? Would you say that there is a cultural resurgence of pan-Arabism in the Middle East currently? I often feel there is, especially since 2011, but it is mysteriously non-present in political movements. (Although movements such as 6th of April are not above publicly rooting for and congratulating the Algerian football team, for example). 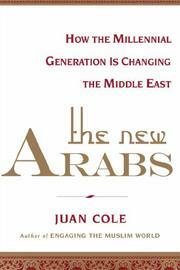 What is the 1 book you think that all Arab millennials should read? Pan-Arabism as a political project has so far failed. Its big success has been educational and linguistic (most young people know Modern Standard Arabic and can communicate across national boundaries and dialects). There are distinct blocs, like the Gulf Cooperation Council, which has used its money to help stage a counter-revolution in Egypt and mavericks like Qatar that have supported the Muslim Brotherhood. Private Gulf billionaires seem to be backing horrid al-Qaeda affiliates in Syria. Then the Maghreb (Morocco, Algeria, Tunisia) is deeply divided, partly over the issue of political Islam. You could imagine a future in which pan-Arabism worked something like the European Union, but I think if that were to happen, it is a long way off. If a resurgence of pan-Arabism was to occur bottom-up instead of top-down, do you think that has a better chance of succeeding? As I said, I think the big successes of pan-Arabism haven’t been political or economic but cultural. Modern Standard Arabic is a big success (as though you’d been able to convince all Spaniards, French, Italians, Romanians to learn Esperanto as a second language). That paves the way for pan-Arab media like satellite and social media. But I think one obstacle to an EU type union at the moment is the disparate economies of the Arab world. They don’t trade much with one another, mainly with the North. And the oil states have disproportionate political influence. My own guess is that by 2040 or so the hydrocarbons will be worth much less because of switch to green energy, and then regional integration may be easier. To what extent do you think western funded NGOs have influenced the Arab Spring, “colour revolution” wise ? How do you feel about this new form of soft power intervention? I don’t think that the US or France or Britain wanted the Mubaraks or Ben Alis to fall. I want to say your blog has been a great resource for us trying to understand the Middle East for many years now, keep up the fantastic work! As an Arab millennial, I can’t wait to get my hands on a copy of the book! Do you feel that the Arab millennials had initially overplayed their hand and did not anticipate the resiliency of the Arab “deep state” apparatus and the opportunism of the Ikhwan types? What do you think the future for Christians in Iraq and Syria will be? Hi, and thanks! I don’t think we can blame the Millennials for what happened after they overthrew the dictators. People forget that many of them were like 22; the older were 32. Most were not old enough to stand for office! They opened up politics and the Arab Baby boomers stepped in. In Tunisia, the 60 somethings did all right. In Egypt they made a mess of things. But the Millennials are still doing lateral networking, NGO work, and writing, and they’ll start coming to power in 20-30 years. They’ll be influential along the way! That is great to hear, thanks for the reply! Oh, and about the Christians in Iraq and Syria. Those who fall under the rule of the al-Qaeda affiliates are having to flee for their lives. Many Iraqi Christians have gone to Kurdistan or Baath-ruled areas of Syria, or Lebanon. It seems likely that the two countries will end up with fewer Christians, and that a lot of the latter will eventually make their way to the West. But I don’t expect them all to leave, and a lot of Syrians and Iraqis value them. Hello, Dr. Cole. “America and Middle Eastern Wars” was one of my favorite classes that I took as an undergraduate at U of M, and I very much enjoyed reading Engaging the Muslim World and Napoleon’s Egypt (and am looking forward to picking up The New Arabs), and I read your blog several times per week. Thank you for doing this AMA. The media reports coming out of much of the Middle East are a nearly unbroken chain of terrible news: bombings, civil war, kidnappings, revenge killings, terrorism, imprisonment of journalists, etc. As someone who studies the region intently and has traveled and lived there, what are some positive things you would like to see get more worldwide attention, and what gives you some optimism that conditions in the region will improve going forward? The social statistics on change in the Middle East are breathtaking. In 1968, Libya was 80% rural and 80% illiterate. There was high infant mortality. Life opportunities were limited. Today, Libya is 87% urban and the 15-29 year olds are almost all literate. Since the Revolution they have become very active on the internet, are learning foreign languages, and have founded thousands of NGOs, many charitable and educational. There has been an outbreak of pluralism. The security situation is fragile and there is a militia problem, but we forget that most people get up and go to work every day in Tripoli, there are traffic jams, etc. They have to work through this period of bad security, but there are deeper things going on that are very positive. Roughly summarized the Obama administration policy on Syria was facilitating the removal of Assad even expressing an aspiration to replicate the Libya intervention while in Iraq it was to support elected leadership and stabilize the country. For now the exact opposite is playing out. Do you see this as a failure of US geopolitical influence? And was the initially expressed policy really of US making or mainly served as support to the plans of allies in the region? I think the Obama administration has been deeply divided among Realists (Gates, Hagel, Brennan) and liberal interventionists (Rice, Powers). The interventionists won on Libya. They won rhetorically on Syria, but I think the Realists have dragged their feet in actually doing anything. Realists had won on Iraq, but ISIS takeover of Sunni areas has put the ball more in the interventionists’ court. I don’t think Obama wants much to do with the Middle East, but he cannot afford politically just to ignore it and concentrate on new trade deals with East and Southeast Asia, which is his own instinct as a sort of defensive Realist. That he goes back and forth between the two factions in his administration helps explain the seeming contradictions in policy. Hi, First and Foremost thank you for doing this. Do you think the lack of success of Arab Spring youth movements bring about stable and democratic new governments will serve to reduce or increase the likelihood of similar regional wide protests taking place again soon? I guess I think it is way too soon to conclude that the protests of 2011-2012 haven’t produced big changes in politics. They overthrew 4 presidents for life. They stopped the move toward new dynasties, with the presidents being succeeded by their sons. Tunisia’s democratic transition has so far gone about as well as could be expected. Yemen, which has a longer history of political pluralism, has also opened up politically (I’m not talking about its security problems and regional issues). Morocco’s new 2011 constitution helps incorporate the Amazigh/ Berbers much more. Even in neo-authoritarian Egypt, the new constitution limits presidents to 2 4-year terms; Mubarak ruled 1981-2011. Hello Mr.Cole, thank you for speaking with us, I hope to soon read your book. My question is what obstacles do the youth movements of Saudi Arabia and Bahrain face? You’re welcome! The regimes in Saudi Arabia and Bahrain have raised the cost of protest very high. This seems to have been effective in Saudi Arabia in particular. Saudia has also enormously increased its spending on social benefits for people. Saudis have free education through the Ph.D., free health care, greatly subsidized mortgages, etc. etc. (though also high rates of youth unemployment). So far, activist youth in Saudi Arabia have not been able to get a “cascade” going, of really big numbers of demonstrators. In Bahrain, the situation is complicated. Although there have been joint Sunni-Shiite protests, much of the discontent is economic and pertains to the second-class citizen status of the Baharna or Bahrain native Shiites. Hardliners in the Sunni monarchy have played on ethnic divisions and fears of Iran. But the region is volatile and you never know whether regime stability is genuine or a mirage; that is one lesson of 2011-2012. Does Saudi money influence western news reporting? Professor Cole: I’m a huge fan. Can you explain Saudi Arabia’s relationship with the Muslim Brotherhood recently? It seemed like there was “A Redirection” (quoting Seymour Hersh’s 2007 article of the same name) where the West/Israel and its Sunni allies aimed to prop up the Brotherhood (and Sunni extremists) as a move against Iran and its Shia allies. Now the Saudis seem to have gone back to being strongly opposed to them — encouraging their removal in Egypt and moves against Qatar partly for their support of them. Thanks! Yes, the Saudi royal family has turned on the Muslim Brotherhood. Former Intelligence Minister Prince Nayef blamed the Brotherhood influence on al-Qaeda for 9/11. Over the past decade, the royal family has come to see the Muslim Brotherhood as an uncontrollable, populist and revolutionary force, kind of a Sunni, republican counterpart to Khomeinism in Iranian and Iraqi Shiism. Absolute monarchs generally fear populist republicans. I think the Brotherhood taking over Egypt was a big shock to Riyadh. A friend of mine with Saudi contacts said that the Saudi royal family still remembers Egyptian viceroy Muhammad Ali’s invasion of the first Saudi kingdom in the 1810s and is determined that nothing like that ever should happen again. Hence they conspired with and bribed the Egyptian officer corps to destroy the Brotherhood altogether (not that the officers needed much encouragement). As for the United Arab Emirates, a friend of mine there said that politics is hierarchical in the Emirates, with the Emir at the top of a set of tribal allegiances. Groups like the Brotherhood that organize horizontally disrupt those top-down ties and so are seen as subversive. It turns out that the Gulf is afraid of political Islam! What effect might the entrenched Egyptian military have on the future ambitions of the country’s Millennials? Can this generation bring about the changes they want while dealing with an institution that’s readily backed by international/regional/lobbying powers? Thank you Juan for doing this AMA! The organized youth movements have been repressed by Gen. Abdel Fattah al-Sisi, now the president after an authoritarian plebiscite. April 6 is outlawed and Ahmad Maher, one of its leaders, is in jail for 3 years at hard labor. But they were repressed under Mubarak, too. The youth were disturbed by the Muslim Brotherhood coming to power, the opposite of what they had been aiming for, and many have lost hope in politics. But Millennials are probably over 30 million of Egypt’s 84 million people, and they have already shown they can shake the country if they organize to do so. We haven’t heard the last of them. but should they? the last time they did a lot of people died and now there’s a military dictator again and journalists (and many of the original revolutionaries) are being imprisoned and worse. i dont see a good way for a potential new uprising to succeed beyond pressing for reforms. I am not predicting that al-Sisi will be overthrown. But he is politically tone deaf and the likelihood he can avoid demonstrations against him down the road is low. He just doubled gasoline prices at the beginning of Ramadan! I predict a brief political honeymoon. Hey Prof Cole, recent events in Palestine have gotten people talking about the chances of a Third Intifada breaking out. 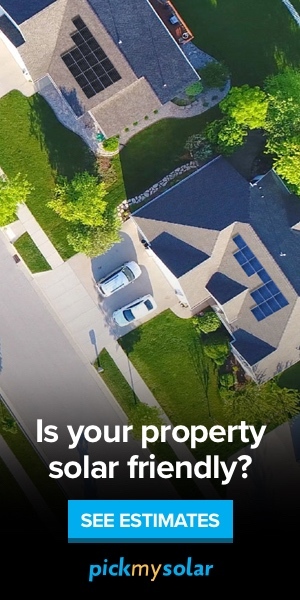 Do you think this is likely in the near term? Also what do you think the reaction will be from Arab youth in other countries like Egypt, themselves now experienced revolutionaries? It is difficult for the West Bank Palestinians to mount a revolt any more. Israeli intelligence and military has deeply penetrated them and they have been cut off by highways, checkpoints, from one another and isolated in Bantustans. There may be civil disturbances and violence in response to the big Likud push for more squatter settlements on their land, but it is hard for them to achieve much. The Arab Millennials are sympathetic and Egyptian activists tried to help break the Gaza blockade, but now the Egyptian military is in power and they hate Hamas more than the Israeli gov’t does, so Egyptians are hamstrung. I fear I think there will be a long slow descent into more and more repression and Apartheid for the next few decades. why do you think the international community cannot prevent further illegal settlements? It looks to me like Kerry got frustrated and gave up on his peace ambitions. All that would be necessary to stop Israeli illegal squatting on Palestinian territory (West Bank) would be for the US to stop using its veto to prevent UNSC condemnations. The latter would institute crippling economic sanctions on Israeli West Bank enterprises and maybe on Israel itself. It is the US, almost alone in the world, which is the squatters’ enabler. but EU sanctions dont seem to last very long either. and why do you think the US vetoes, without putting backchannel pressure on Israel to stop the settling? Does Israel have that much influence on US politics? Where do you see Arab world heading in the coming years with the crisis it faces, specifically the fallout of the Syrian war. Lebanon and Jordan have had a huge increase of population who will most likely be there for a long time. Can this cause destabilization in these nations? We have seen many instances of fairly long-term instability in the Middle East that people seem to be able to get over. Algeria had a civil war in the 1990s that left perhaps 150,000- 200,000 dead. The military won. Lebanon had a civil war 1975-1989. Until the 2006 Israeli attack and then the outbreak of the Syrian civil war it had settled down. The Bush administration invasion of Iraq in 2003 kicked off what is likely to be a 20-Years War. My guess is that Syria will go on a few years and there either will be a victory of one side or another or a pacted transition to a new government. There could be a negative security fallout in the meantime on Jordan, Turkey, Saudia and there already has been on Lebanon and Iraq. That is, these kinds of civil war produce high levels of casualties and millions of displaced, but it isn’t clear that they produce region-wide complete destabilization. who do you support in syria? how would you like the conflict to end? how much of a role do terrorists (nusra, ahrar ashsham) play on the rebel side? how long do you think this state of full scale war will last? are you happy with the way western msm report on syria? what do you think about jarba? do you support supplying more weapons to vetted rebel groups? do you think more wapons would pressure the regime into negotiations? do you think it makes sense to compare maliki and pre-war assad? do you think there can be a solution at all in iraq with maliki as president? Hi! Obviously, I support the peaceful youth revolutionaries in Syria. They are still organizing and demonstrating. But of course they have been repressed by the Baath Party and by al-Qaeda affiliates. Civil Wars destroy civil organizations. I support the peaceful youth revolutionaries in Syria. that would be me and my friends. 😉 thanks for your support. However, most of the protestors in my immediate vicinity have either fled syria or joined the government army or one of its militas. I think we are well beyond the point of peaceful demonstrations and protests, and i am not aware we are having any anymore. this is imo one of the bigger arguments the US is having over the syria war right now, as with the 500 millino dollars, etc. that would be the reasons many people cite for the above. However, i argue that the unwillingness of negotiations is at least mutual. For example, we have seen what Nusra thinks about negotiations when they detonated the car bombs in Homs. So the FSA may not be able to negotiate even if they wanted to. with the recent statement by maliki, where he talks about “foreign backed terrorists” he kinda reminded me of assad a little bit. what do you think? Syria has now become a regional war, with a Syrian theater and an Iraqi theater, in which Russia and Iran have intervened in both theaters and Hizbullah in the Syrian one. Russia, Iran and Hizbullah have among them very large resources and are willing to intervene quite directly. The Syrian National Council and the Free Syrian Army are supported timidly and with many fewer resources by Turkey, Jordan, Saudi Arabia and the West. In part, the rise of the al-Qaeda affiliates as the best fighters who hold most territory (and now oil fields in Syria) has spooked the FSA supporters and limited what they are willing to do. They don’t want inadvertently to hand Damascus to Abu Bakr al-Baghdadi. In the past year, the Syrian Baath regime has recovered the momentum as a result. I think we have to consider whether an analogy to the Algeria outcome is not now possible, with the Baath ultimately ‘winning’ (the country will be in a shambles and in debt to Russia and Iran). It is a very bad outcome, but as an analyst I have to say it is not impossible. The ISIS takeover of northern Iraq probably makes it slightly more likely. i agree pretty much with all of it, but it was al-Qaeda that was recently kicked out the oil fields in deir azzor. they are under isis control now. Professor Cole, past movements have come and gone, won’t these Millennials grow up and become part of the “system” and settle into the status quo? I just reiterate that the “system” in the Arab world was becoming one of corrupt family ruling dynasties, and that the Millennials have already derailed that system. The surveys suggest that they are less religiously observant than their elders and we know they are much more urban, literate and wired. The politics they will conduct when they are in their 50s cannot be predicted, but that it would look like the politics of the 1990s is highly unlikely. Thanks so much for such a lively and wide ranging discussion, everyone. I hope you all enjoy The New Arabs! Thanks Prof Cole for the great AMA was very interesting and covered a lot. Thank you for joining us today, really looking forward to reading the book!